Many students fill their summers with Netflix, work, vacations and internships, but theatre and creative writing major Josh Reinhardt (’14) and graduate student of music education, Shelley Washington (’13,’14), spent their 2013 summer going through the unique process of writing a musical. Reinhardt and Washington were chosen as part of a research project that was proposed by David Charles Goyette, assistant professor of theatre, and Charles Gran, associate professor of music. Goyette and Gran chose to apply for an Interdisciplinary Community Grant from the Office of Student Research in order to mentor students in the creation of a new musical. The two professors had collaborated on numerous projects in the past where Gran would compose music for shows that Goyette was either writing or directing. Both Reinhardt and Washington noted that they had not considered writing for musical theatre before this opportunity came along. Reinhardt echoed Washington’s sentiments, noting that he had taken playwriting courses and had written a few of his own works, but that none of his experiences ventured into the realm of musical theatre. But after a summer of creative collaboration and a semester of workshops and revisions, Reinhardt and Washington have created “Better Off Dead,” a one-act musical based on the play, “Is He Dead?” by Mark Twain. The play follows a fictionalized version of famous painter Jean-Francois Millet as he fakes his own death to increase the value of his paintings. Reinhardt noted that changes were made to the original piece in order to make a musical adaptation possible, including changing the setting from Paris to New Orleans. Washington was excited to work with a style of music familiar to her. Both students attested that although the eight-week summer writing period was intense, it taught them new lessons about collaborating with experts in different disciplines. Since the original grant period, the musical has taken quite a journey. Last August, excerpts of the show were performed at the Summer Research Symposium before a full workshop performance of the show in Baldwin Auditorium at the end of September. 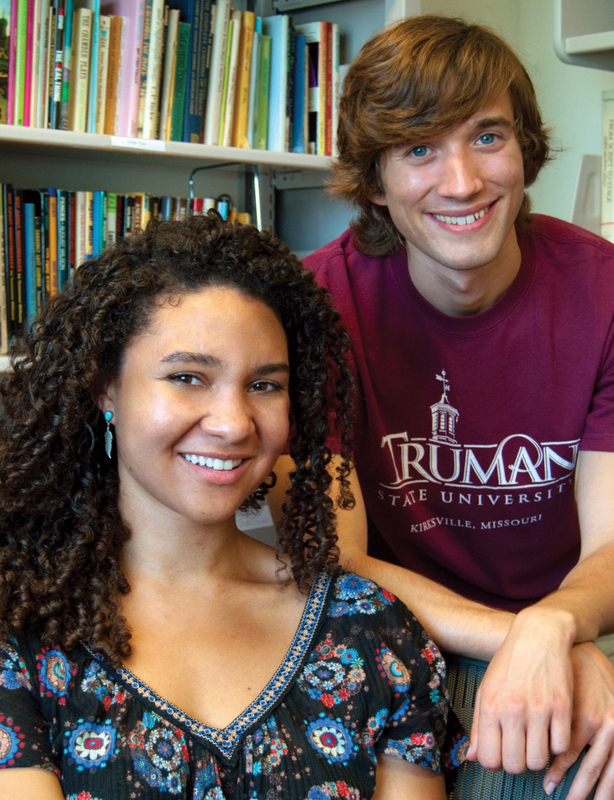 The musical duo teamed up again at the end of the semester to present excerpts from the show at Washington’s master’s composition recital, and prospective students witnessed portions of the show performed at the Truman showcase in January. Before applying for this grant, Reinhardt was planning on applying for internships in literary management and graduate school for playwriting, and Washington was planning on pursuing a career in elementary music education. However, they both now believe this grant opportunity has encouraged them to consider a different path, as they are applying to musical theatre writing and composition programs in addition to their other pursuits. In keeping with the nature of the Interdisciplinary Community Grant’s dedication to creating a transformative experience, Reinhardt reflected that his work on the show has influenced his perspective.